Axios Records proudly presents it’s first release: V.A. 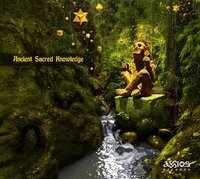 “Ancient Sacred Knowledge” 1. Tengri - Ancient Knowledge 2. Avaris - Transmission 3. Atriohm - The Infinite Now 4. Master Margherita - Persia (Tengri Rmx) 5. Avaris - Coyote's Wisdom 6. Yudhisthira - Next Destination (Reincarnated) 7. Vedanta - Akashic Connection 8. Yudhisthira - Echoes Of The Ancients 9. 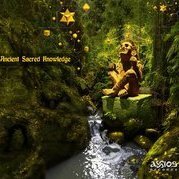 Androcell - Sacred Knowledge Compiled by B.E.N. Mastered by Dennis Tapper Artwork & Layout by Joe The Glow Release Date: 3 Feb 2018 Big thanks to all friends & family for supporting this release… Check at: http://axiosrecords.bandcamp.com ...if you like , please support the artists and the label for future releases ! For updates, follow us on our pages, official web page also coming out next days… http://soundcloud.com/axiosrecords http://mixcloud.com/axiosrecords http://facebook.com/axiosrecords Enjoy ! + Because of the Big intrest the Festival will be extended for one more day... Also on the 12th of July Rodopi Mountains will be shaked from the 80 kw Sound system... Keep The spirit !! !